One of the adorable fabrics from the Confetti Mini Dots collection by Dear Stella Fabrics. 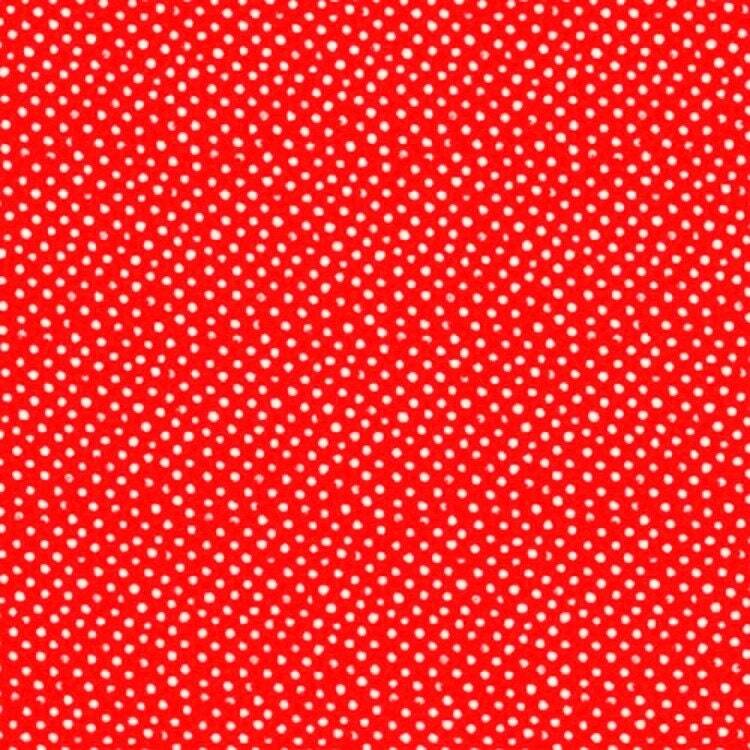 The design is a very small white polka dot on a tomato red background. This is an uneven, whimsical dot. This would be a wonderful print for a kid's quilt! 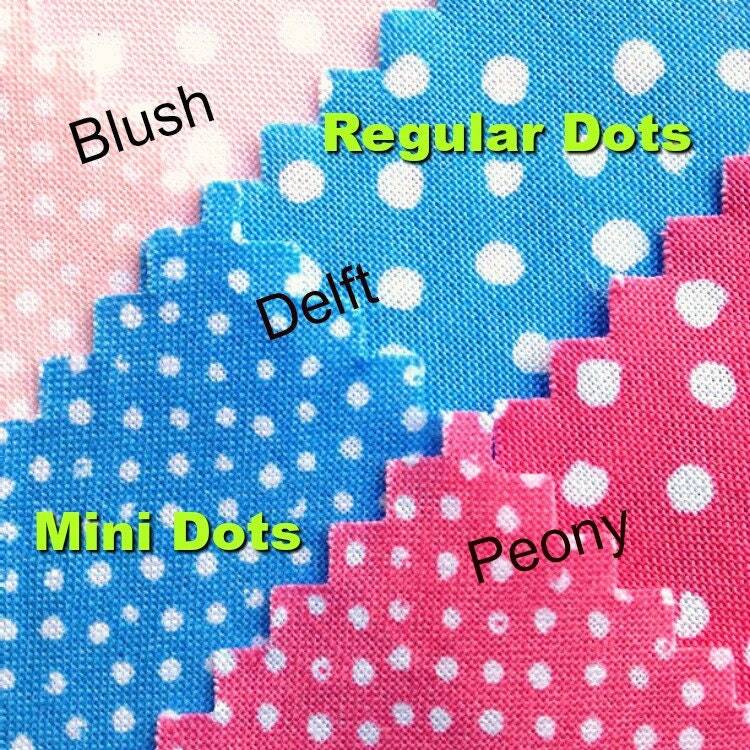 Confetti Dots are available in the larger size dots and in Mini Dots. Photo 3 is provided only to show the difference between the two sizes.